The recent sub-zero temperatures in Ohio have given new meaning to the phrase, “Keep the home fires burning.” Since we Sheridans depend in part on the heat from our wood burning stove, it is an unspoken agreement that whoever is at home or gets up first in the morning needs to gather the remaining embers into a pile and stock the stove full of more wood. In this way we are all assured of a cozy place to take the chill out of our bones. 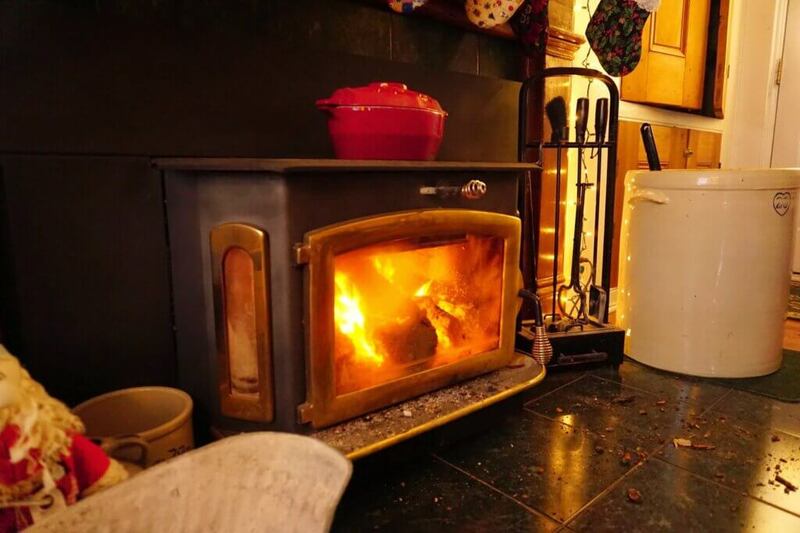 I have noticed that it is so much easier to get the fire going if you stay on top of it and regularly feed the stove dry wood. When you wait too long and the remnants burn out, it is much harder to get it started again. Bummer! Knowing Jesus as your Savior brings a fire of faith and love for Him into your soul. As He works in your heart and strengthens you through difficult circumstances, the fire grows stronger and warmer. It is very important to feed this fire through regular times in God’s Word and prayer. This is the way to be careful and watch yourself closely. When you go a long period of time without listening to and talking with God it is easy to forget the things He has done for you. Little by little the memories fade away and slip from your heart, and the fire dies out. This doesn’t mean you don’t belong to God anymore; it just means the relationship has grown cold and lifeless. God knew human tendencies and the importance of “keeping the home fires burning.” That is why He warned the Israelites, whom He rescued from Pharoah’s mighty hand, never to forget the miraculous deliverance He orchestrated for them; and never to forget how they stood at the foot of Mount Sinai while it blazed with fire, with black clouds and deep darkness; and never to forget His law which He had spoken with a powerful voice out of the mountain’s darkness. He knew how easily they could forget, so He warned them to watch themselves diligently. We are no different. Reading God’s Word and praying daily isn’t busy work. It is essential to feeding the fire of a warm, vibrant, growing relationship with God. And when you “keep the home fires burning” spiritually, you never have to worry when the weather outside drops to freezing temperatures. The radiant love of God will keep you warm in the storm. I think I’ll go grab my Bible and put another log on the fire! Won’t you join me?